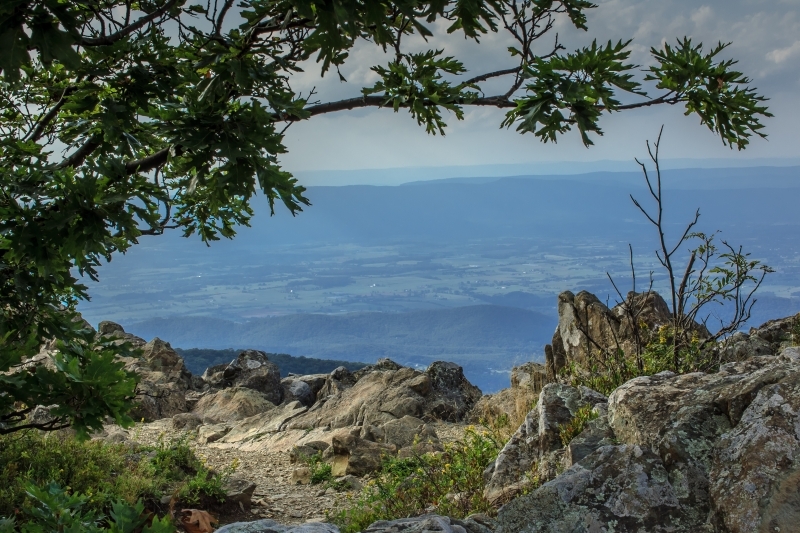 Take Skyline Drive to about mile 45 and park in the Hawksbill parking area. Then take a one mile hike to the summit of Hawksbill Mountian. Exposure 1/640 sec @ f/10 Focal length 16mm ISO 400 Raw file processed in Lightroom 4. A view from atop Hawksbill Mountian.